The Duke and Duchess of Sussex's future daughters won't be known as princesses - unless the Queen steps in to change it. The Duke and Duchess of Sussex's future daughters won't inherit a royal title. It's been speculated that the couple - who got married at Windsor Castle on May 19 - will probably try for a baby by the end of the year now that they're officially husband and wife but while a son born to them will inherit the dukedom, any girls they parent will simply be known as a lady rather than receive the title of a princess. The royal laws of succession were changed to become gender-neutral in 2013 - meaning the Duke and Duchess of Cambridge's daughter Princess Charlotte became the first female royal to retain her place in the line of succession. However, while Charlotte's older brother George, four, was always entitled to be HRH Prince George of Cambridge, the three-year-old royal was only known by her name until her great-grandmother Queen Elizabeth stepped in and made her a princess. According to The Express newspaper, the 92-year-old monarch can go down the same route if Harry and his new wife - who was known as Meghan Markle before she joined the royal family last month - have any daughters together - but it's up to her. The fact that their daughters may not receive a royal title will no doubt irritate the 36-year-old former actress as she's often spoken out about females having equal rights. 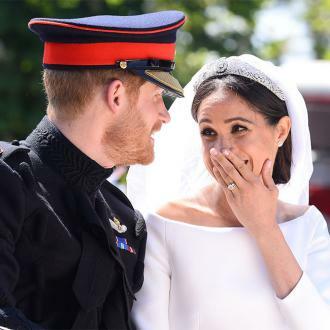 The couple - who went public with their relationship last year - tied the knot in front of the whole world last month at St George's Chapel in Windsor and Meghan is looking forward to getting stuck in to her official royal duties now that she's part of the family.